ABS Technology offers a full range of Information Technology (IT) Services including Commercial Networking, Sales, Repairs, Upgrades, Point of Sale Systems, ERP Systems and Data Recovery Services. We provide professional IT services with a strong commitment to customer service and will always go out of our way to provide you the best service in the area. We offer computer services both onsite and in shop. We have a full service repair shop with trained technicians able to solve your most complex hardware and software problems. Our services include repairs for computers with failing hardware, corrupt or damaged software, viruses and malware, and providing and installing upgrades, new equipment and software. We have strategic relationships with solution vendors enabling us to offer the best products for your small business technology needs. Our commitment will always be to serve you in a professional and personal manner, as a true partner in your business to help you be successful at what you do. We are conveniently located near the corner of Vaughn Road and Bell Road in Montgomery Alabama. Call us or email us if we can be of service to you. 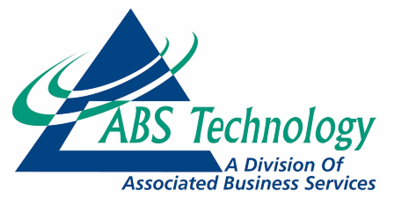 ABS Technology is a division of Associated Business Services (ABS). Associated Business Services has been providing Business Consulting, Accounting, & Tax Services in the Montgomery area since 1979.